Alligator blood could provide a powerful new source of antibiotics for fighting deadly “superbugs” and other infections, researchers say. An Alligator is a group of animals in the order Crocodilia. 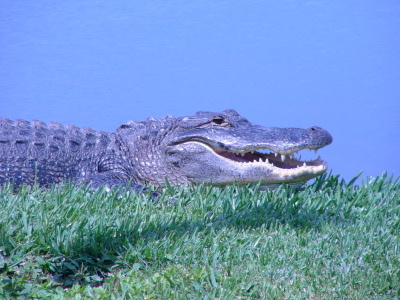 The genus Alligator has two living species, the American Alligator and the Chinese Alligator. Despite their reputation for deadly attacks on humans and pets, alligators are wiggling their way toward a new role as potential lifesavers in medicine, biochemists in Louisiana reported today at the 235th national meeting of the American Chemical Society. They described how proteins in gator blood may provide a source of powerful new antibiotics to help fight infections associated with diabetic ulcers, severe burns, and “superbugs” that are resistant to conventional medication. Previous studies have showed alligators have an unusually strong immune system; unlike humans, alligator immune systems can defend against microorganisms such as fungi, viruses, and bacteria without having prior exposure to them.